Originally from Bougainville and the eldest of eight children, Stephanie says her parents made sure both girls and boys in her family were given equal access to education, and were encouraged to pursue their passions. In 2013, Stephanie obtained a degree in architecture from the University of Technology in Lae following a childhood interest in building design. Stephanie scored her first big construction project in 2015 after being with Planpac less than a year. 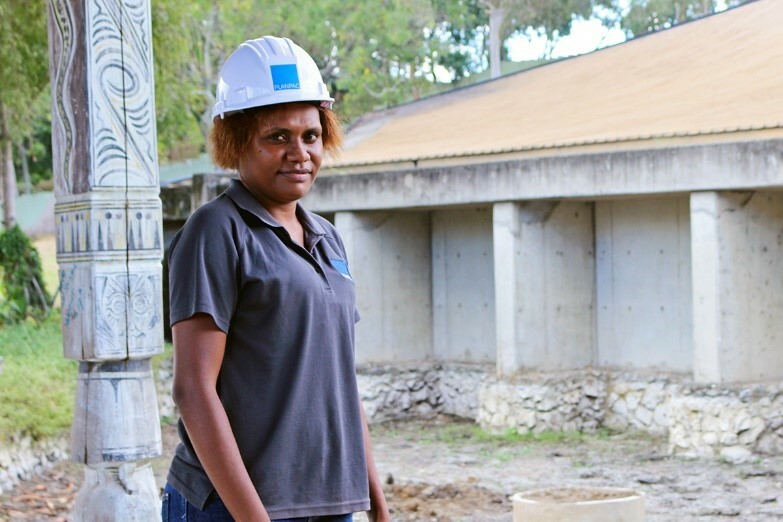 Appointed as part of the construction management team on the Arawa Hospital upgrade, she was responsible for overseeing 50 construction workers across the site – predominantly men. As Stephanie gains experience on different construction projects, she is also looking to the future. In the next five years, she hopes to register as a licensed architect and pursue a degree in construction management, while helping other women aspiring to work in the same field.